A good drawing is the most important foundation for a great work of art. 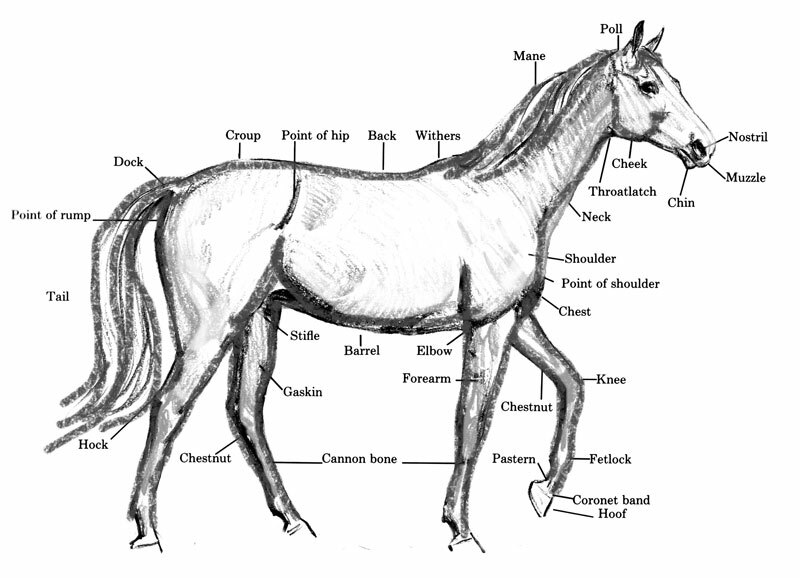 In order to draw horses well, you really need to understand how they are built and you need to know the names of various parts of the horse. 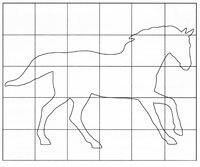 Image taken from the book ""Draw Horses with Sam Savitt"
Next, you will find it very helpful to begin to draw parts of the horse with the help of a grid. 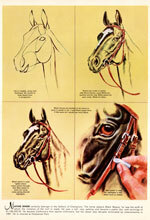 Take your time and learn to draw each feature well, before you move on to the entire horse. 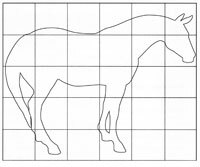 Practice drawing the horses below using a grid. 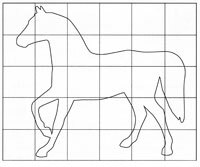 Once you have learned to draw horses well, you may wish to shade them to give them dimension. 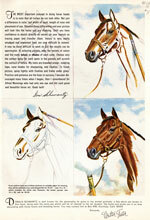 These sketching, drawing and painting tips were found in a vintage book titled "Horses' Heads" by Don Schwartz.